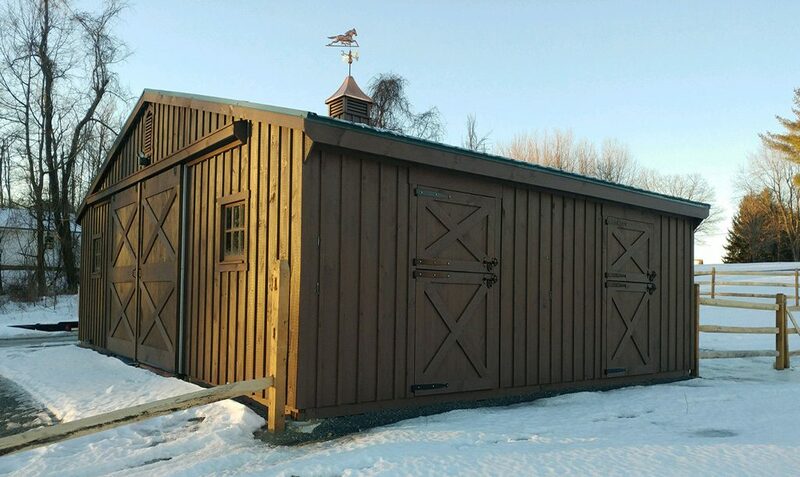 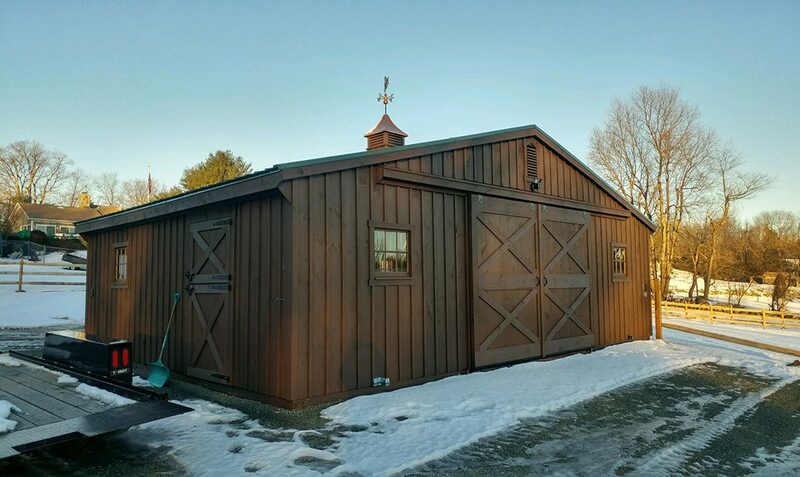 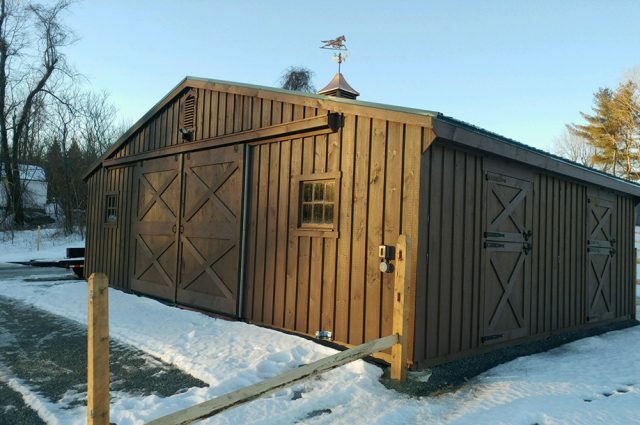 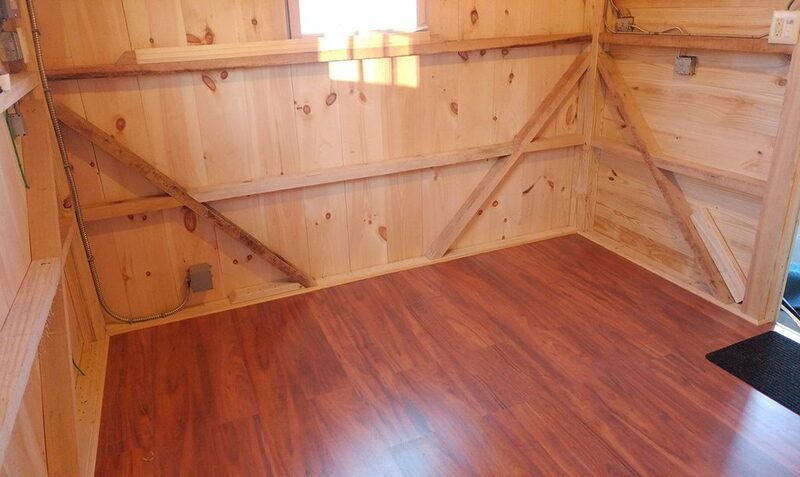 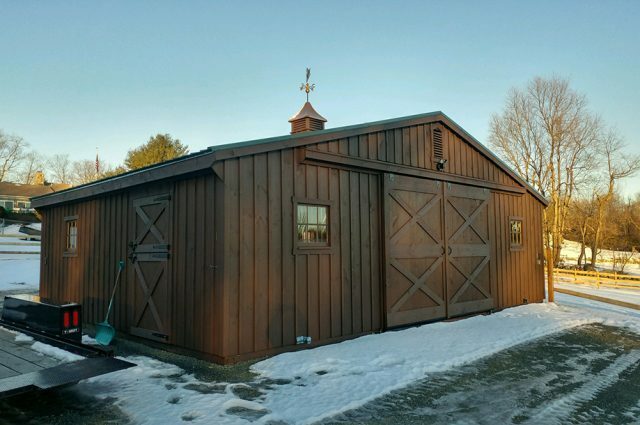 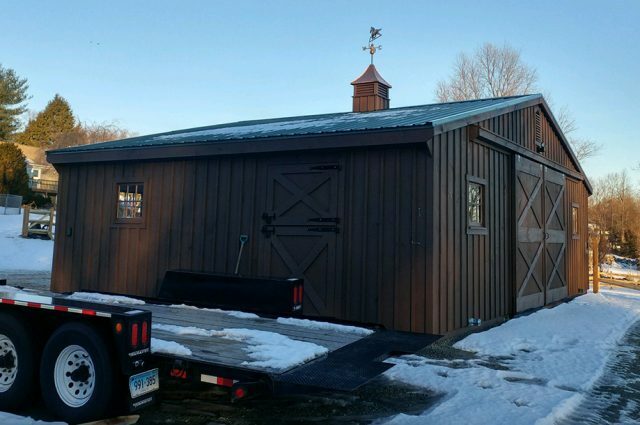 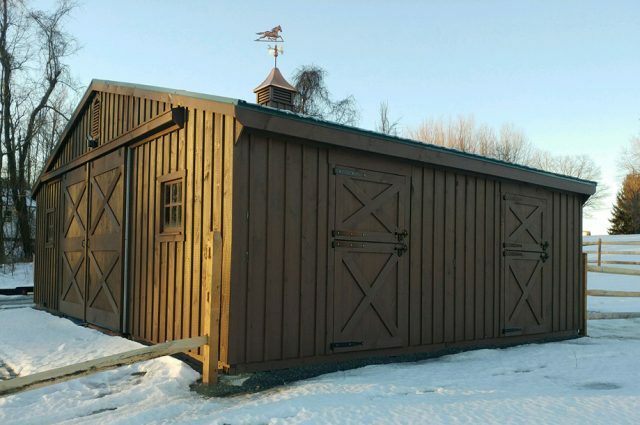 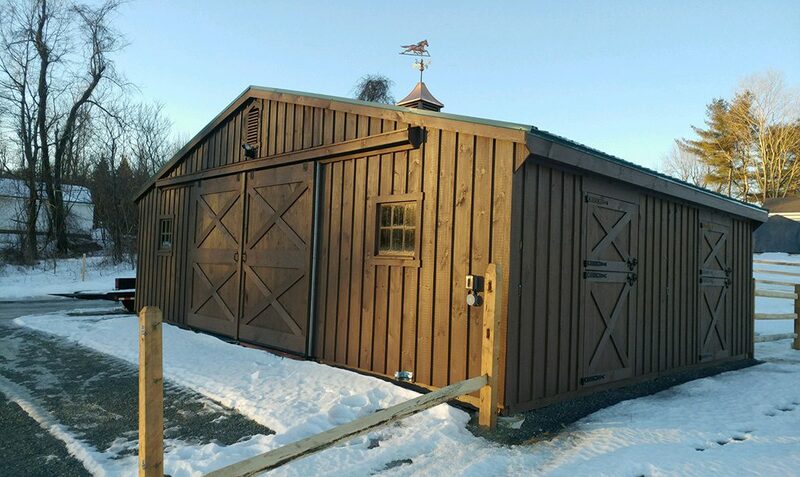 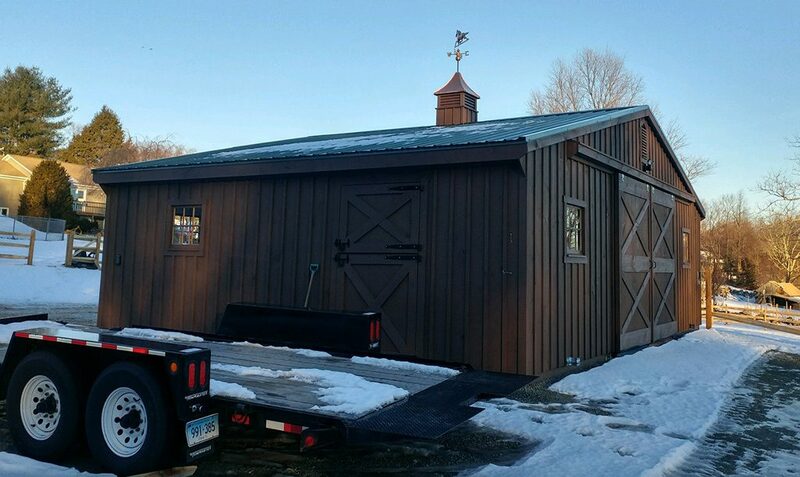 This Trailside barn is one that showcases a stunning mushroom colored stain and evergreen metal roof which is topped with a 24″ cupola. 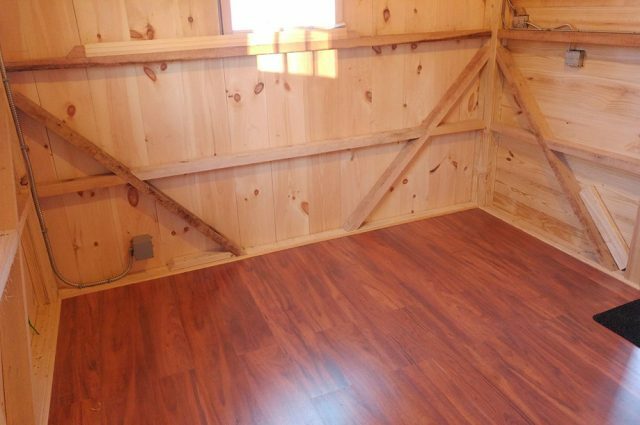 Dutch doors and an abundance of windows create an environment with plenty of natural light as well as spacious entryways. 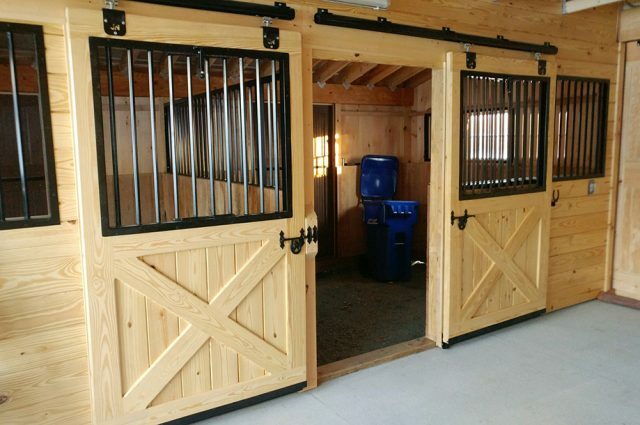 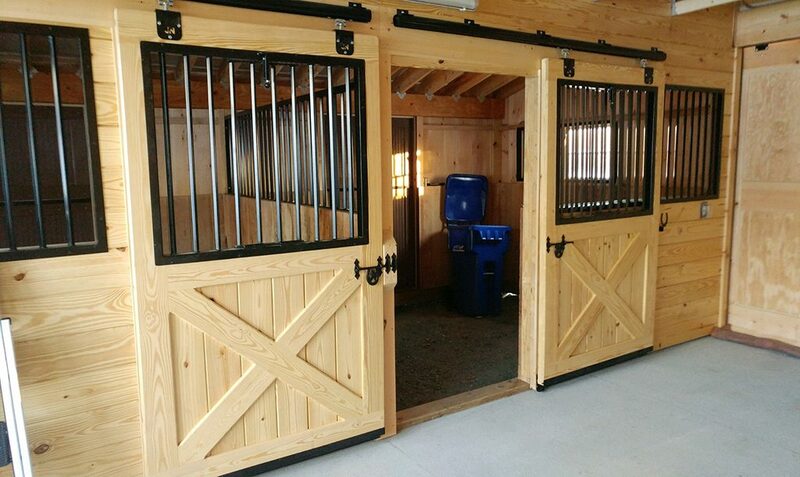 The interior is completed with stall doors with a wooden X and yoke for a uniquely customized feature.